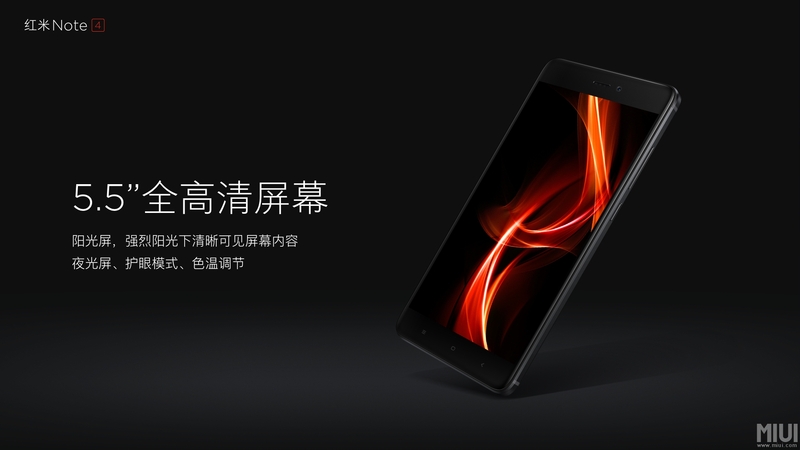 While we normally don’t cover China-only smartphone releases, Xiaomi is a fairly major player as far as volume as they were one of the first companies in the industry to ship high-end hardware for mid-range prices. 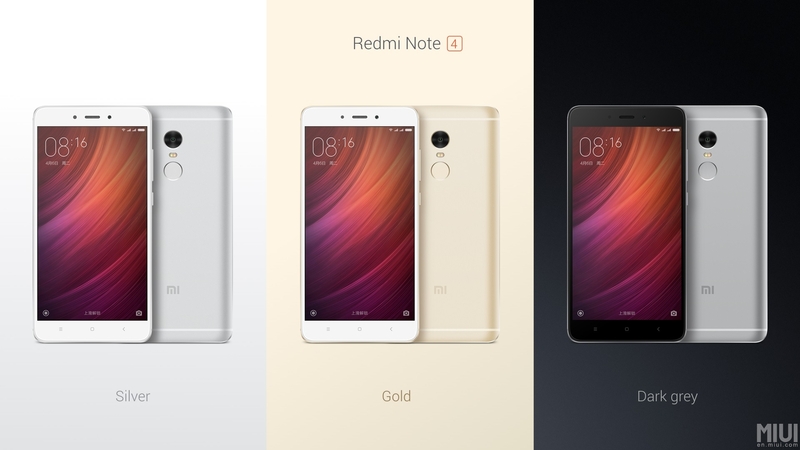 We also tend to see that these devices eventually filter out to a more global launch, which The Xiaomi Redmi line has been a solid success pretty much anywhere it shipped, and today Xiaomi launched an update to their Redmi Note line, the Redmi Note 4. 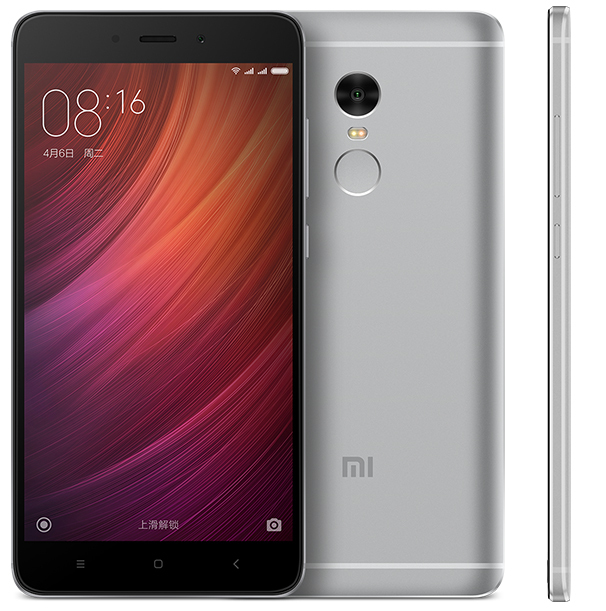 At a high level the Redmi Note 4 is shipping with fairly aggressive specs for the price, which starts at 135 USD for the model with 2GB of RAM and 16GB of internal storage, and 180 USD for the model with 3GB of RAM and 64GB of internal storage. There’s also a micoSD slot so the 16GB internal storage isn’t necessarily the end of the world. All SKUs ship with MediaTek’s Helio X20 SoC, but instead of a 2.5 GHz Cortex A72 at the high end it looks like Xiaomi is shipping a 2.1 GHz variant which could either be downclocked deliberately to reduce peak power consumption or a cost saving measure. To try and push for as much battery life as possible, Xiaomi has also shipped a 15.7 WHr battery in this device or 4100 mAh which is probably partially to offset the use of an SoC on a planar 20nm process, and also because most of the people buying phablets are likely doing so due to the battery life benefits. This battery is charged through conventional quick charge at 10W, so charge time may be a bit on the long side but I wouldn’t be surprised if this is a move to improve battery longevity and meet the fairly tight cost target. The display is a 5.5 inch 1080p unit with a claimed maximum brightness of 450 nits, contrast ratio of 1000:1, and sunlight display technology similar to Apical’s Assertive Display which dramatically improves outdoor visibility beyond what you might expect from a display of that brightness. There’s a mention of 72% NTSC gamut which leads me to believe that this is targeting sRGB fairly well depending upon display settings similar to the Mi Note and Mi Note Pro. The rear camera is a 13MP unit with PDAF and the front facing camera is a 5MP sensor. Both have an f/2.0 aperture but I don’t really see any mentions of the supplier of the module or sensor here. I suspect that this is going to be a Samsung ISOCELL sensor or something similar on the rear but absent actual data this is just a wild guess. As far as connectivity goes 802.11a/b/g/n/ac, WiFi Direct, and Bluetooth 4.2 are supported. 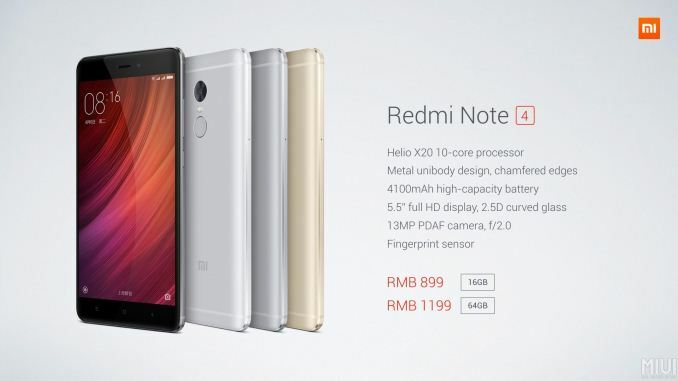 There’s no explicit discussion of NFC connectivity but seeing as how Mi Pay and AliPay is supported as an NFC-based mobile payments service the Redmi Note 4 should support NFC. For cellular connectivity LTE category 6 and VoLTE are supported, and looking at Xiaomi’s page it looks like GSM bands 2/3/8, WCDMA bands 1/2/5/8, TD-SCDMA bands 34/39, FDD-LTE bands 1/3/5/7/8, and TD-LTE bands 38/39/40/41 are supported for this specific variant. There’s also a mention of support for CDMA2000/1X BC0 which is interesting to see. 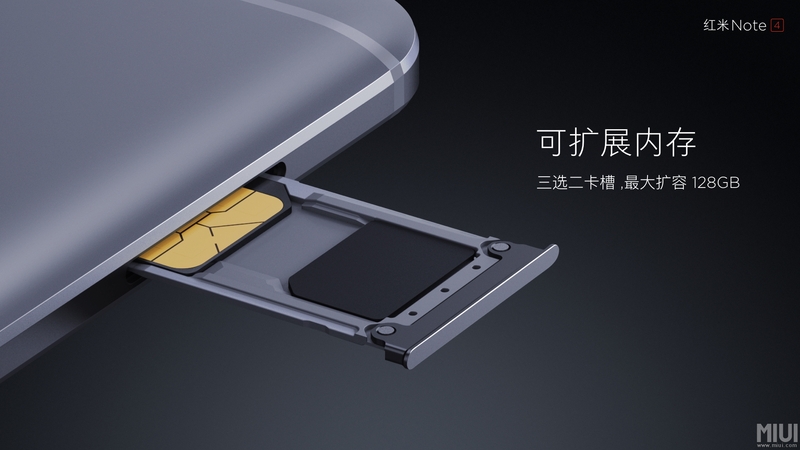 Dual SIM is supported but when using two SIMs it isn’t possible to use microSD. GPS, GLONASS, and Beidou are supported as GNSS constellations, and there’s an IR port, gyro, accelerometers, proximity sensors, ambient light sensor for auto brightness, and a magnetic hall sensor for things like flip covers. All of this is packaged into a phone that is 151x76x8.35mm and weighs 175 grams, which is actually fairly impressive considering its size, the aluminum unibody, and 15.7 WHr battery. The only real spec out of place at a high level is the lack of USB-C reversible connector, but microUSB is acceptable given the price. Putting aside the specs, this is actually looking to be a fairly promising phone. 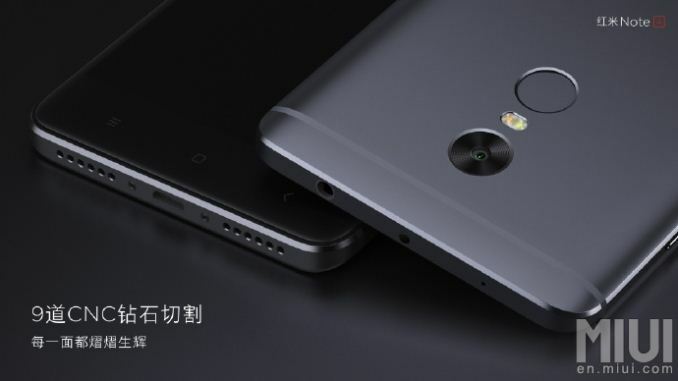 We can talk about whether Xiaomi is copying Apple or not, but the Redmi Note 4 seems to have a fairly unique design due to its rear camera placement and the use of a large circular lens somewhat reminiscent of HTC designs, but combines with a dual color LED mounted just below the camera and a fingerprint scanner that appears to be identical in shape to the camera lens between the two. 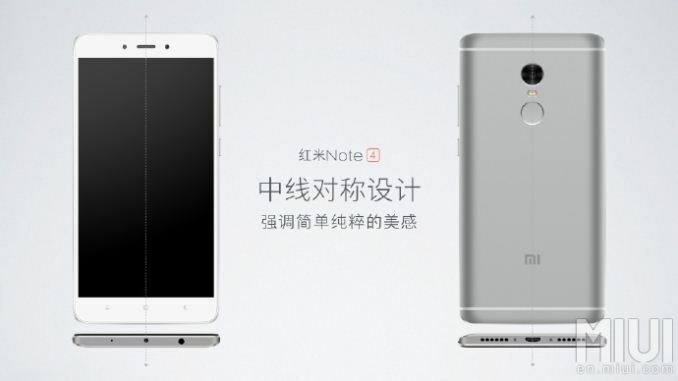 The design of the Redmi Note 4 looks great considering the price, and there’s some irony in that for all of the marketing bluster surrounding the Note7’s symmetrical design, the Redmi Note 4 has visibly better overall ID detailing and overall symmetry. The use of the 2.5D glass, chamfered edges, and slightly curved back should also make for solid ergonomics while allowing for things like tempered glass screen protectors. The fingerprint scanner also is said to be one that allows for learning such that it extends the map of your fingerprints over time to allow for faster, more reliable use. MIUI 8 also has some interesting new features such as the ability to enter either a standard or private user mode depending upon the password/PIN/pattern you enter similar to a KNOX secure folder. Overall, the Redmi Note 4 from a distance looks to be a fairly impressive phone. 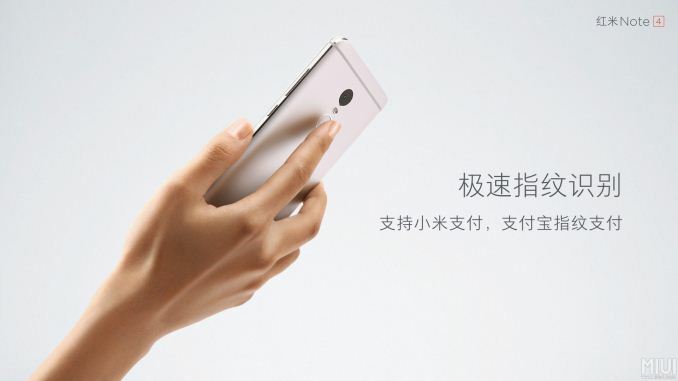 It wasn’t all that long ago that things like aluminum unibody design, fast-focusing rear cameras, high quality, high density displays, and fingerprint scanners were impossible to find in a single package for a phone under 200 USD, and Xiaomi has managed to ship a phone with all of these things. 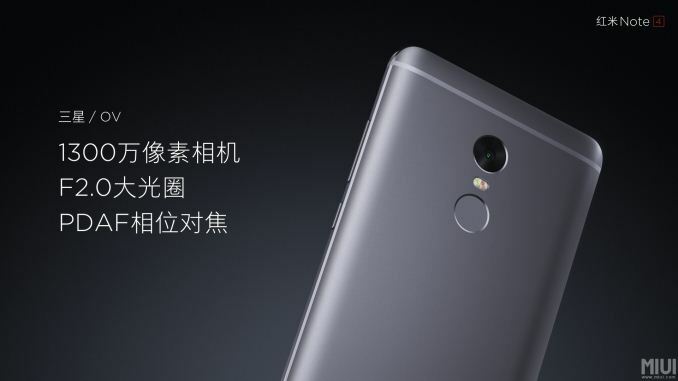 It’ll be interesting to see how they manage the transition for the Redmi Note 4 to a global audience, which would likely mean a Qualcomm SoC and new RF front-end, but it’ll be interesting to see all the same. The Xiaomi Redmi Note 4 will be available in China in silver, gold, and gray, and the 2/16GB variant will retail for 899 RMB or 135 USD, and the 3/64GB variant for 1199 RMB or 180 USD. I don't really understand why they had to make this. 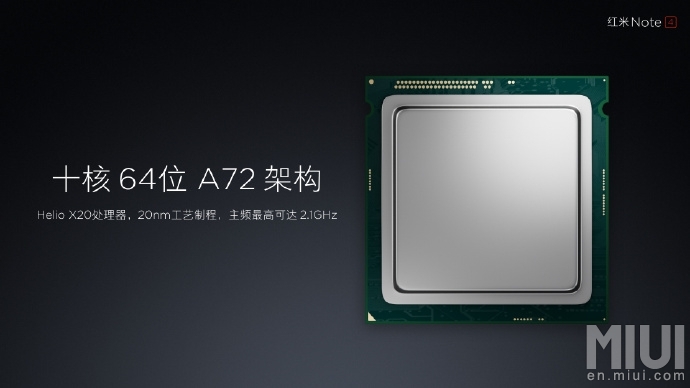 The Redmi note 3 already had everything the new one has, including 2 A72 cores from the SD 650. Agreed. X10 was a horrible, horrible chip. Haven't had experience handling the X20 yet, but if MediaTek knows anything about yearly improvements, it should be a solid update. Also 64GB model is now the step-up, no 32GB anymore. 4 high performance cores, 4 low performance cores, 4 medium cores, 4 cores for when it’s hot out, 4 cores for when you feel vaguely sad about nothing, 4 cores for sundays on the 15th of the month. The Chinese SoC company strategy. So you can compare it like a child. I have moar cores than you. I got +1 than you.